Growing quality wine grapes in the established grape growing regions of Central and Northern California has its own challenges. It requires a dizzying amount of knowledge, information and an incredible amount of finances and exhausting labor to achieve success. 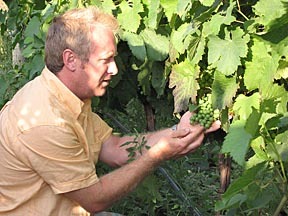 Growing quality wine grapes in the “non grape growing region” of Southern California would then seem an impossible and “crazy” task by industry standards. 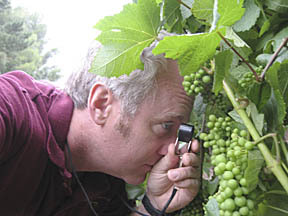 B. Alan has adapted all of this knowledge and information in an attempt to help “all of those crazy people growing grapes in Southern California” achieve the highest quality of grapes possible. 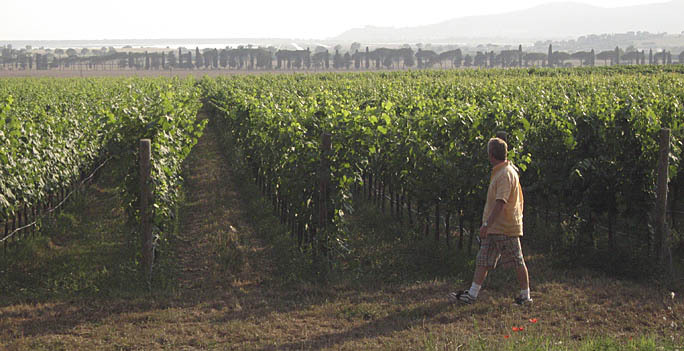 Every vineyard in each individual area has its own challenges starting with the vineyard's micro climate, soil conditions, water availability and exposure to the sun. The selection of rootstocks (of which there are hundreds) and the different grape varieties and clones (of which there are thousands) is the most important decision you will make. Knowledge coupled with years of experience has helped B. Alan adapt all of these different grafted rootstocks and grape varieties into the specific areas of Camarillo, the Santa Monica Mountains, Malibu, Hidden Hills, Bell Canyon, Topanga Canyon, San Fernando Valley and the Pacific Palisades.